Karlsson is a world-renowned Dutch clock brand. The Karlsson brand is synonymous with high quality, stunning graphics, aesthetic shapes and innovative design. This is the result of a unique collaboration between national and international designers and our own creative team. The Karlsson collection is updated twice a year and can be split into the following subcategories. 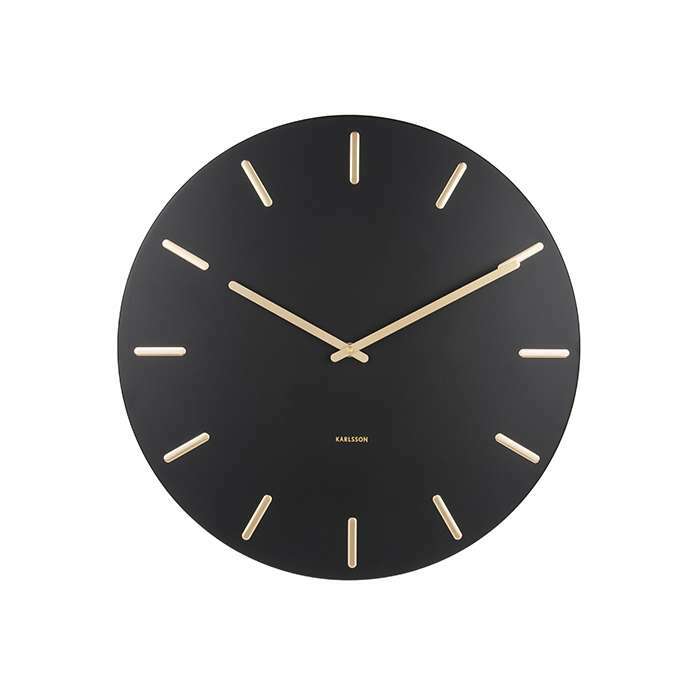 Karlsson’s World Class clocks are designed with the ultimate in class and style. World time clocks, Flip clocks, Digital clocks; each individual model is sophisticated. The design is modern and completes any interior. Dimensions Size 102 x 303 x 310 mm Product Details Colors ..
Dimensions Size H285*W250*D30 mm Product Details Color Black Designed by BO..
Dimensions Size 1 Dia 375mm, thickness 60mm Product Details ..
Dimensions Size Dia 400 mm Product Details Designer B..
DimensionsSizeDia 400 mmProduct DetailsDesignerBOX32CollectionDelicate PRemarks1AA batteryDelivery I..
Dimensions Size Diameter. 45cm, Thickness 3.5cm Product Details Materials Steel with..
Dimensions Size Diameter 30cm, Thickness 4cm Product Details Materials - ..
Dimensions Size Dia. 700mm*H 45mm Product Details ..